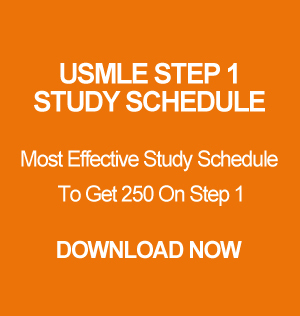 How Many Qbank Should You Do For USMLE Step 1? As you already heard Step 1 is getting harder and harder every year. Even though the number questions are decreasing per block, the concepts are still the same. This makes it more difficult. Fewer questions per block mean each question worth more point. And this is why you have prepared very well to score high on Step 1. 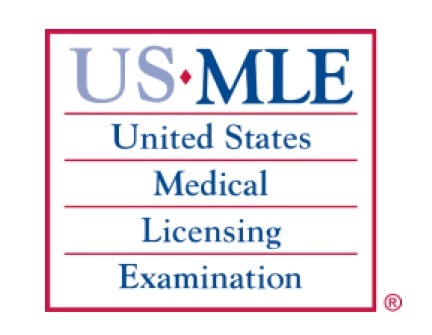 In my previous blogs, I talked about sticking to just USMLE World and First Aid. Don’t get me wrong I scored very high by sticking to this source. So it basically depends on the person. If you have a strong foundation, then UW and First Aid should be sufficient. Otherwise, you must do 2 Qbanks. However, over the years Step 1 is getting harder and harder. And people who are just using USMLE World are scoring average. And, this is why I recommend doing two Qbanks to get a higher score and solid foundation. Now, take the average of your NBME scores, and that should be a rough estimate of your real exam score. Again, the moral of this post is that USMLE World will make you an average student, but if you combine it with Kaplan QBank, you will score very high. And trust me on this! If you find it difficult to study for Step 1 and doing Qbanks, feel free to contact me for help. I offer tutoring session over Skype, and my students score more than 235+ on Step 1. Kaplan QBank vs USMLE World – Which One To Stick To? I received lots of request from everyone about my thoughts on Kaplan Qbank. Should you do Kaplan Qbank? That is totally up to you. The problem with the Kaplan Qbank is that, it’s not as tricky as the actual exam. You really want to challenge yourself before the exam so that you are capable of any tricks out there. You also need to understand that Kaplan was out way before the USMLE World, which mean there are so many doctors out there who used Kaplan Qbank. I have seen friends at rotation who just used Kaplan Qbank and passed. I only used it to get stronger on my weak subjects. For example, in the beginning of my preparation I was really weak in biochemistry and I kept on getting the biochemistry questions wrong on USMLE World. So what I did was, I practice all the biochemistry questions from the Kaplan Qbank and then went back to USMLE World. And I realized that Kaplan Qbank will prepare you for the USMLE World but not for the actual exam and USMLE World will prepare you for the actual exam. If you are asking me whether you should do Kaplan QBank, I will say practice the subjects you are weak at by using Kaplan Qbank and then move to USMLE World. It will give you extra confidence since you will have enough practice. Now if you want to practice the entire Kaplan Qbank and USMLE World, that is up to you. I didn’t practice the entire Kaplan Qbank and still scored high on the real exam. Some of you guys also asked about the Kaplan High Yield Questions. I will say don’t worry about the High Yield or Low Yield, just use Kaplan Qbank to work on your weak subjects. Moreover, the real exam is just like USMLE World. So my suggestion is don’t waste too much time with Kaplan Qbank since I recommend you guys earlier about doing UW at least twice before going to the exam. And I will say this now, doing UW twice or more then that will consume lots of time but it will be worth it. So spend more time on UW rather than Kaplan Qbank. Best of luck!